A flurry of feathered friends. 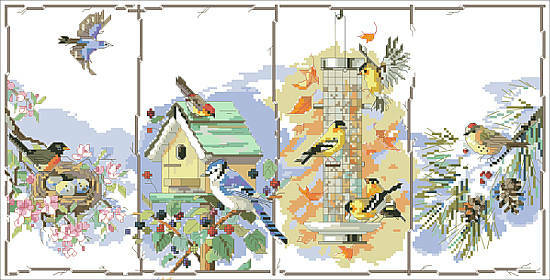 A bird for each season captured in this Four Season Birds Counted Cross Stitch. Contents: Stitch Count 224w X 114h. Finished size on 14-ct 16" X 8-1/8"